Crafting for all creative minds. 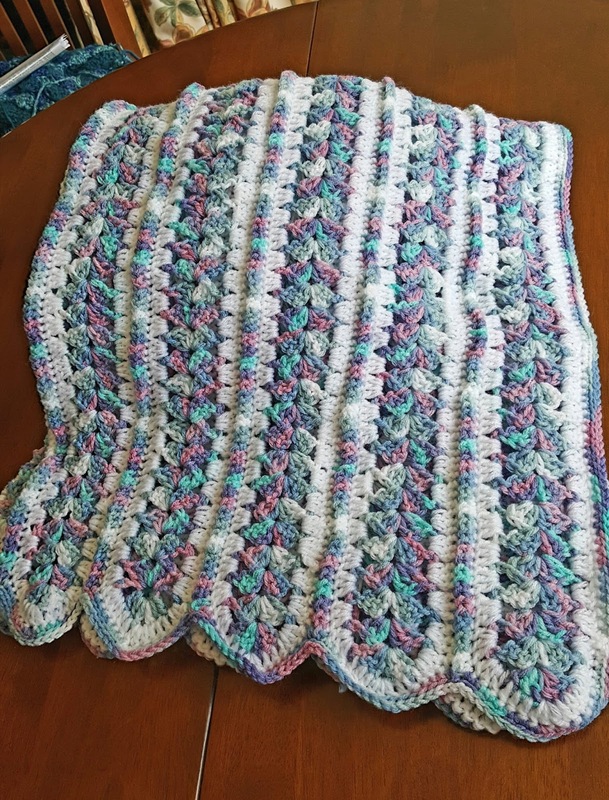 This is such an easy project to make. Honestly sooo simple. There are many variations of pattern on the internet. 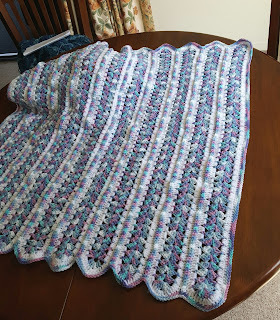 You can make this to any size you want. These two blankets were approx 30" square for a crib sized blanket. Having two colours to compliment each other really makes it stand out. 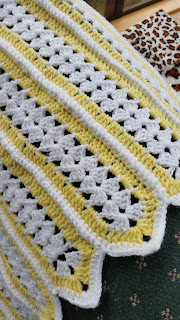 The lemon and white was just the two colours, but the lilac variegated and white really made it pop. It is an ideal project to work on whilst watching tv or traveling. 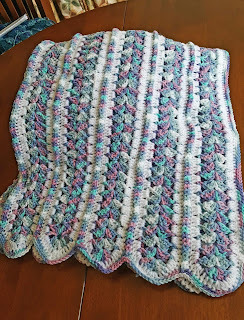 Work a shell stitch (dc 3, 2 ch, dc3). 1 dc into 3rd ch. Ch3, turn your work. Repeat the shell pattern for 45 rows or (as many rows as you require for you blanket). 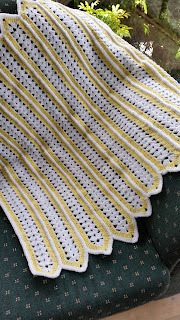 To give the strip a border in the contrasting colour join at a convenient place and ch3. Work in dc all around the strip working extra dc's at the points of the strip. 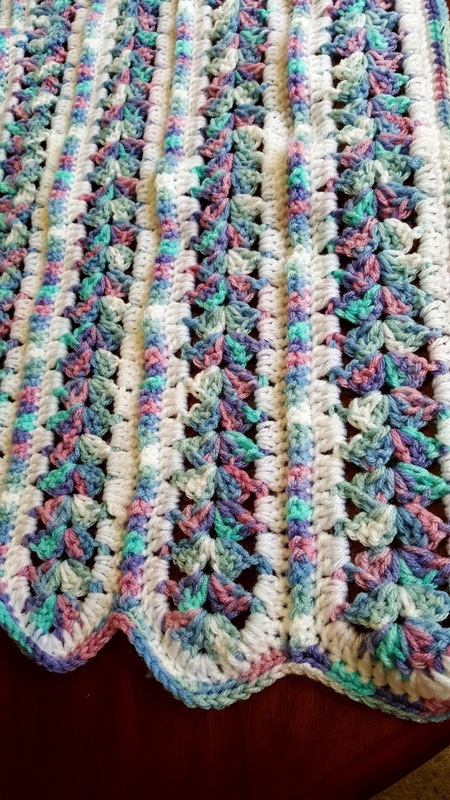 When you have worked 10 strips with the contrast yarn or (as many as you require for your project) Join the strips with the white yarn in a sc join. 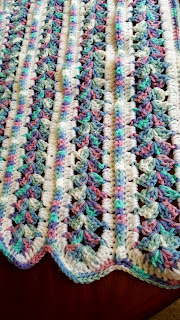 Here are two video clips that will demonstrate firstly a flat single crochet join and then one that I used for preference. When all strips are joined as one piece work a dc border around all four sides working multiple dc's at the corners and points. 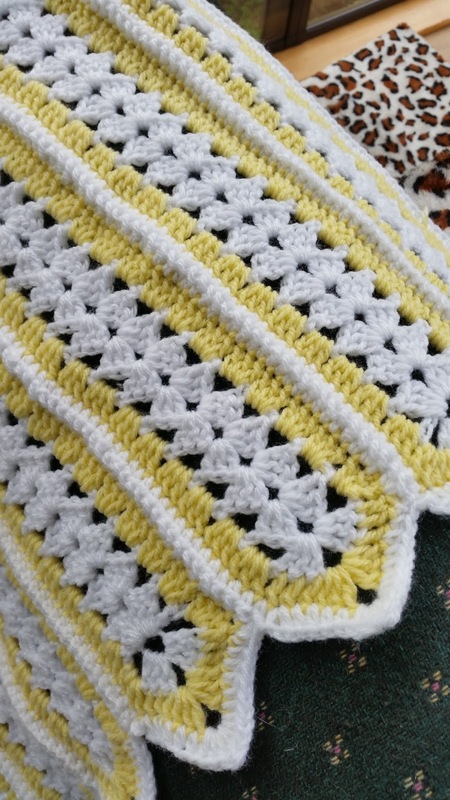 This gives the blanket a lovely finish.